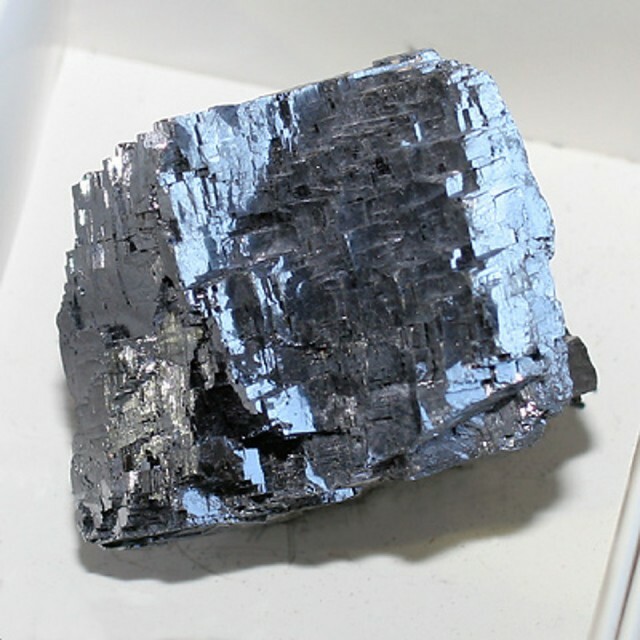 Lead Smelting is a process where lead is extracted from Galena (lead sulphide) or lead ore. Galena is found in limestone in rakes (seams or veins). Once mined the lead is extracted from the ore by heating it known as smelting. Stoney Middleton Dale had ideal conditions for smelting, it had steep slopes necessary for the draft required for the fires, while Dale Brook provided power to drive the bellows used in the later smelting mills. The lead ore at the surface required smelting to separate the lead from the ore. Early miners used very simple bole smelting methods. A fire would be lit in a shallow dug out depression in the ground on the side of a steep slope or exposed area. The bole would be filled with large pieces of ore and wood before being lit which could only be done when prevailing conditions were favourable. The bole required a good draft of air which was why they were positioned on a slope to encourage an updraft. 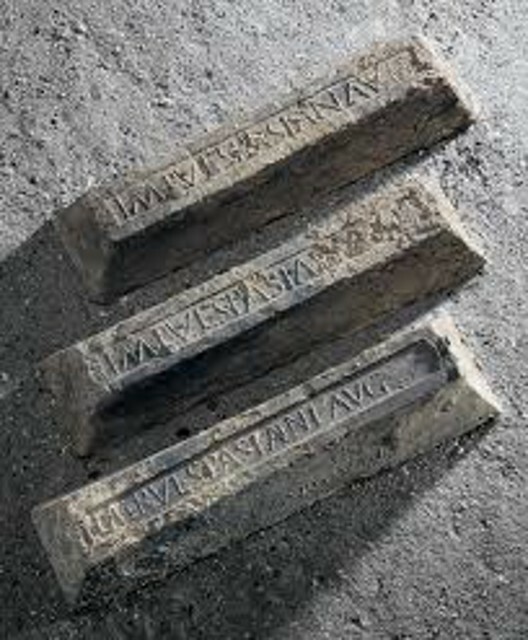 The fires were left to burn for two days, by which time the lead would have melted and run to the bottom of the bole. Stoney Middleton dale provided an ideal location due to the sloping sides of the dale which would have had many boles along its length. Bole smelting was unpredictable and dependent on uncontrollable factors and by the late 16th century boles with their wind power dependence were abandoned. The draft or blast was now provided by simple bellows to an ore hearth, initially operated by hand or foot providing control to heat the fire quickly to the desired temperature required to melt the lead. As time went on the process was further improved, lead smelting mills were constructed to deal with larger smelts, the bellows increased in size and were now driven by water wheels, themselves powered by water from the brook flowing down the dale, again Stoney Middleton Dale provided well and at least two cupolas were built. The lead smelting mills were fuelled by wood which was locally available. It was first dried in a kiln which improved burning and reduced the amount of smoke created, enabling the smelters to better observe the smelting process. This wood or white coal as it was known, was used in the first furnace as this required only moderate heat to melt the lead which was run off and poured into moulds know as pigs. The slag from the hearth was transferred to a second furnace, this would use charcoal as a fuel as it was capable of reaching much higher temperatures needed to melt the lead and fully exploit the ore. The Dale Brook was tapped off from the main flow and channelled at a slower rate of descent than the slope of the dale and therefore gained height over the surrounding ground, height used to power a wheel driven by the force of the water falling onto its paddles. The wheel in turn provided power to drive two large bellows providing the draft (blast) or air which increased the burn and in turn the temperature of the furnace. Before miners could sell their ore to the smelters he would be required to dress it. This was a process which included breaking up the ore to separate it from the rock in which it was embedded before being washed. The ore was then broken down into finer pea sized lumps; this was done by hand using a simple hammer which they called a bucker. The crushed ore was washed in a buddle, a sloping wooden trough which allowed water to flow over the ore carrying away any dirt; alternatively it was washed in a sieve which was plunged several times into water allowing the lighter unwanted dirt to float off the top. The ore was then sold to the smelters who would once again wash the ore to provide a very pure material for smelting. Whilst the mills offered significant advantages over the previous smelting boles, they still encountered some difficulties. 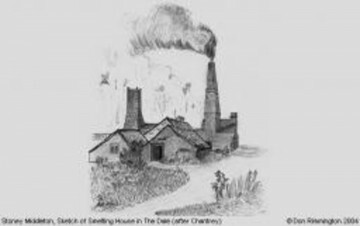 The hearths soon burned out and were constantly in need of repair, whilst the polluting fumes made it necessary to close down the smelter at the end of each working day. The mills were restricted to riverside locations and required large quantities of wood. The answer was the Cupola which gradually replaced the mills. The cupola was a reverberating furnace which allowed fuel to be burned at one end of a low domed shaped combustion chamber. A large tall chimney was located at the other end of the chamber providing a powerful draught drawing flames and hot gases across the roof of the chamber. The ore was placed under the domed roof and super heated by the reverberating action of the dome roof, forcing heat down onto the ore. The slag was skimmed of the top of the molten lead before it was run off and ladled into pigs. Several factors contributed to the cupola’s greater efficiency than the smelting mill. Unlike the smelting mill, the cupola could be operated continuously. It could burn coal which was more available than wood. The air flow over the ore was less fierce and less ore was blown away. The ore was separated from the fuel allowing less contamination with burned ash. 1791 John Storrs was named as the supervisor of the Will of John Froggatt Innkeeper of the Moon Inn, Stony Juxta Middleton. This is the John Storrs of Wigley near Chesterfield who owned the Middleton Dale Upper Cupola Lead Smelter and who, in 1778, erected the first horizontal flu in the area. Purpose to convey smoke to a point where it would not descend and poison the horses of a neighbour. The Cupola subsequently was sold to the Barker Wyatt lead merchants. The Quaker Storrs Family of Wigley near Chesterfield were lead merchants. 1682 Joseph is the first to be mentioned in documents. Executors: Son Joseph Storrs, iron merchant and Ebenezer Bowman, farmer of One Ash ( Near Monyash) of the Bowman Quaker family who had a Meeting House at their home. Witnesses – Sykes, -Brantingham, Lant. Five sons- Joseph, Thomas, William, Henry,Joshua. Do you have the dates of Sara Storrs b c 1781, daughter of John and Mary Storrs of Chesterfield?